Delicious, ready-to-use tomato pulp produced at the height of the tomato season with peeled and sliced fresh tomatoes with salt and pepper. Does not contain water or preservatives. Use and Serving suggestions: Finely chopped tomato pulp. 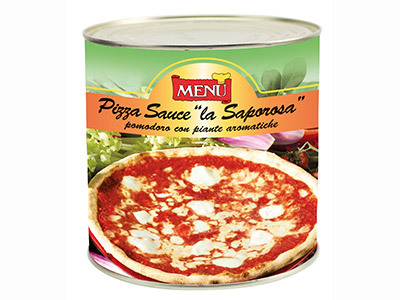 Ready to use and perfect for pizzas. It is also very good with bruchette (toasted slices of bread with seasonings) and all Mediterranean sauces that require tomato pulp.